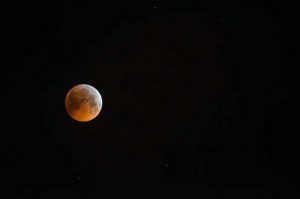 The total lunar eclipse, or super blood moon, took place on the morning of 21st January 2019, starting just after 2:30am, peaking from 4:40am for about an hour, and finishing at just after 7:45am. 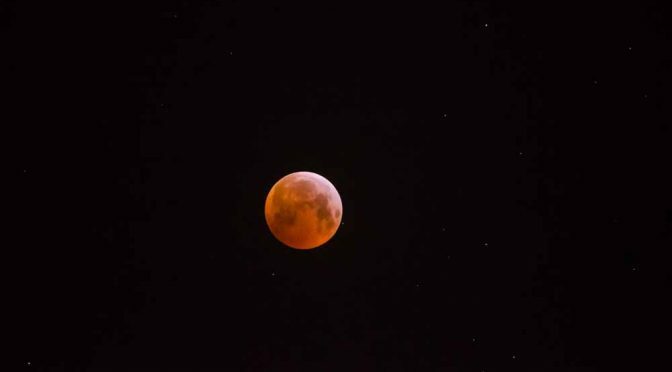 A blood Moon is another name given to a total lunar eclipse, which happens when the Earth moves in between the Sun and the Moon. Our planet casts its shadow on the Moon, blocking out the Sun’s light. The gallery below shows the moon from late Sunday evening to early Monday morning. Photograph taken at 03:30 just before the eclipse started. The prospect of a clear sky was low. Photograph taken at 04:08, fortunatley the cloud had cleared! The Moon does not have a light source of its own, it shines because its surface reflects sunlight. However, during a total lunar eclipse, the Earth moves between the Sun and the Moon and cuts off the Moon’s light supply. When this happens, the surface of the Moon takes on a reddish glow instead of going completely dark.